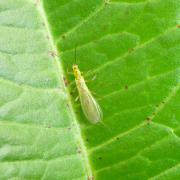 ++ Previously unknown caddisfly and stonefly species discovered in Mavrovo National Park. 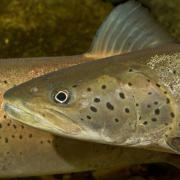 Species endangered due to hydropower development. ++ One doesn’t have to travel to the Amazonas or descent to the depths of the sea in order to discover new species. A closer look at the Balkans is enough. Globally endangered fish species detected in 43 rivers on a length of 1,840 km ++ 1,000 km of which threatened by hydropower projects ++ campaign to stop dams. As a contribution to this year’s UN World Water Day (22.3. ), representatives of the fields of science and fisheries in cooperation with environmental NGOs present a study about the distribution of the Huchen on the Balkan Peninsula. Vienna, Radolfzell, August 21, 2014. In the context of the Days of Biodiversity – an initiative of the German GEO magazine – a remarkable field research event took place at the Vjosa river in Albania in mid-June. Results will be published in the latest issue of the GEO magazine, which will be available on August 22. 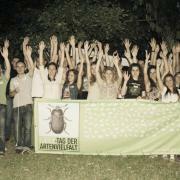 Between June 13th-15th, the Geo Days of Biodiversity took place at the Vjosa River in Albania. Of the more than 400 species identified, ten percent are classified as threatened, rare or endemic, many of which are protected by international conventions according to IUCN and the Albanian Red List. 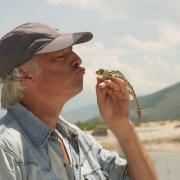 Watch this video about the GEO Days of Biodiversity at the Vjosa (June 12-15). 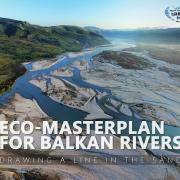 The Balkan rivers constitute the remaining global stronghold of the Danube Salmon (Hucho hucho). 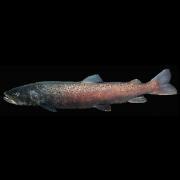 This species, among the world’s largest salmonid fishes, is very sensitive to ecosystem alteration by hydropower development. International experts came together for a workshop to assess and discuss its distribution and conservation status. Vienna, 10.6.2014. In cooperation with the German GEO magazine, a remarkable event will take place along the Vjosa River in Albania from June 13-15. 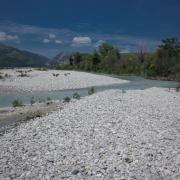 For three days, 50 to 60 experts will range the Vjosa’s riparian zone and study its animal and plant species.